Have you ever played a round of golf and were left with an impossible golf shot? You know, the one where the percentage of success is in negative numbers. I think we all have and if you are like me, you considered making the shot. Why, you might ask? Just because I would respond. Sometimes attempting the impossible is just fun. Well a little while back, that is exactly what my friend Blair did; he tried the impossible shot! We were making our way out to the 12th hole on Men’s Night at Osprey Links Golf Course and as per normal decided to play 10 and 11 just to warm up. After playing the par 5 10th hole with success (one of us left with a birdie and the other with a par), it was time to play the picturesque, par 3, 11th hole. Shot of 11th hole from the 10th green. The tee box is to the left. Standing on the 11th tee box, we felt confident that we would hit the green on this 175 yard par 3. Blair was up first and ballooned his shot and pushed it a bit right. Of all the places to miss on this hole, right was water trouble. As we watched the ball land, we were both surprised not to see a splash. As we walked towards his ball, we could not see it sitting in the grass. We both knew where it was approximately, but after a couple of minutes of searching, still not ball. We were just about to give up when Blair spotted his ball! Only a fraction of the ball was showing! How Blair noticed his ball, I still do not know. As we looked at the ball, I immediately said he should take a drop. But Blair had a different idea. He said he was going to play it. I mentioned that it looked like an impossible shot and he retorted that we were just practicing anyway, so why not! Blair’s ball was in the mud on the edge of the hazard. I have thought about this shot many times and still think his approach was the best way. He opened his sand wedge, turned his body to aim left, and decided to swing like he was in the sand trap. As I watched him swing, I realized he was taking a big cut at this ball. As it turned out, Blair’s ball popped out about 5 yards ahead of where he was standing on the fairway. He was still 10 yards from the green, but in better position than if he would drop the ball. Considering the many aspects of the shot that could have went wrong, the result was pretty good. After the shot, we looked at each other and laughed. We chuckled at the attempt and smiled at the results. It was an impossible shot made possible. I am not sure if he could have ever hit the ball on the green, but it was fun watching him try! Hitting the impossible shot in golf is fun. Additionally, most are learning experiences. The afford everyone an opportunity to expand their thought process, learn from the effort and of course, have a little fun! Have you ever tried an impossible shot? 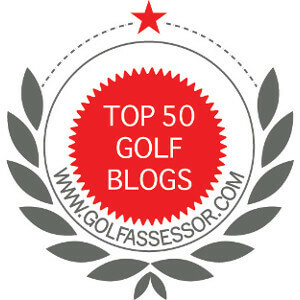 ← Is a Landing Area Important in Golf? All of my shots are Impossible shots 😉 , seriously this has been both a blessing and disguise for me some say i am over aggressive and need to control myself and understand course management and ” take my medicine ” when required others are amazed at the high % of ” save shots ” i make and take from impossible 220 Yard Rescue shots through trees and dreams to float effortlessly 3 ft from the pin to 64° wedges stood 3ft behind a wall of trees protecting a near side green….Fire it up high and let it land…they dont always work but when these low % shots hit there is such a good feeling of satisfaction that it makes up for all the duffs , hacks and shanks. I completely understand. And you forgot the story that goes with the impossible shot made possible! Great to hear from you.